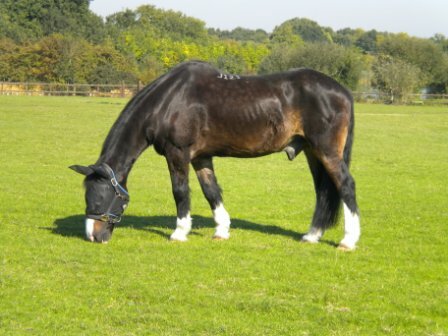 Toby was originally rescued by Remus Horse Sanctuary and has been with us for over 20 years. 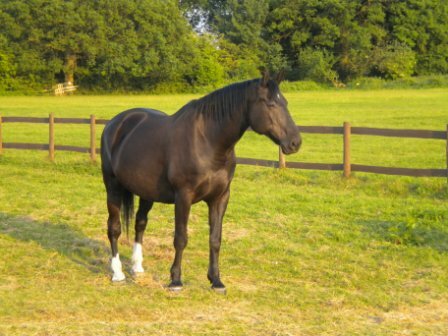 He has mobility problems due to having had a broken leg and he also has arthritis in his spine. 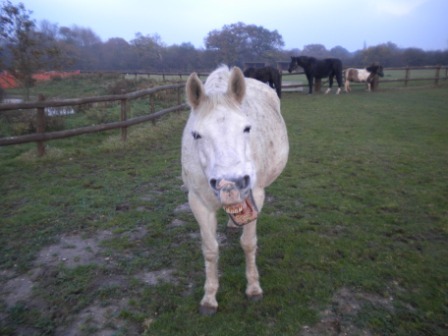 However with the help of medication he enjoys a great quality of life and spends his days grazing peacefully in his paddock, keeping a close eye on all the goings-on at the sanctuary! 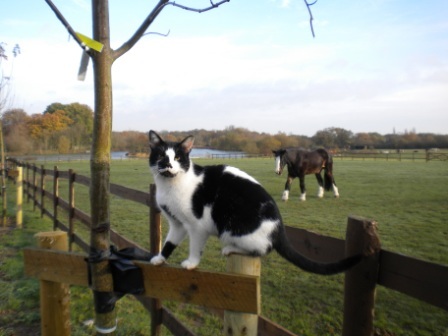 Ollie is Toby’s paddock pal. 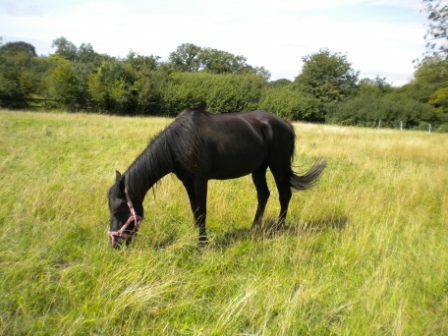 At 28 Ollie is another ‘oldie’, he was relinquished to the sanctuary when his owner no longer felt able to care for him. He has a significant part of his jaw missing due to an old injury and requires special feeding to keep him healthy and happy. Due to his injury he has difficulty keeping his tongue in his mouth, he’s not being rude! Hartley and Percy are the ‘babies’ of the family. They were rescued from very poor circumstances this summer. They were very thin and had terribly overgrown feet. They have settled in well with us and are growing in confidence every day( sometimes they have a little too much confidence!). We know they will make fantastic riding ponies when they are older. Harriet and Henrietta were rescued Christmas 2010. 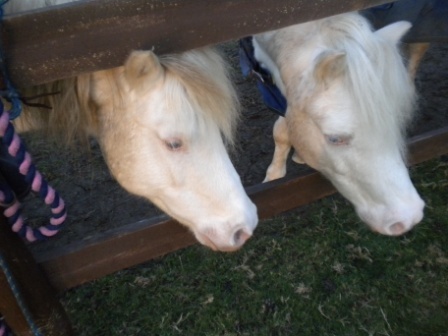 When they first came to Escape they were very wary of people but we are slowly gaining their trust. 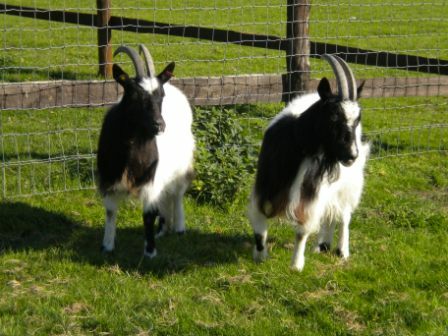 They are Bagot goats which is one of the oldest goat breeds in the UK, the breed is so rare it is on the Rare Breed Survival Trust’s endangered list. Meet the ‘Twins’ Hunky and Dory. They are actual twins by birth and have been together all their lives. They have a very strong bond with each other but their personalities are quite different. Could you tell them apart ???. So-named for her long body and short legs, Dachsie has been with us since the summer. We know very little of her history and it has taken us time and patience to win her round. She may be small but she is very plucky and doesn’t take any nonsense from any of her peers. 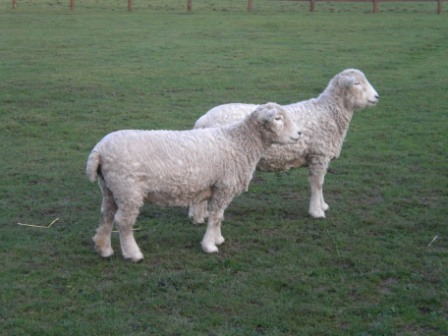 Mathilda and Mabel were rescued alongside Harriett, Henrietta, Eugenie and Giselle. 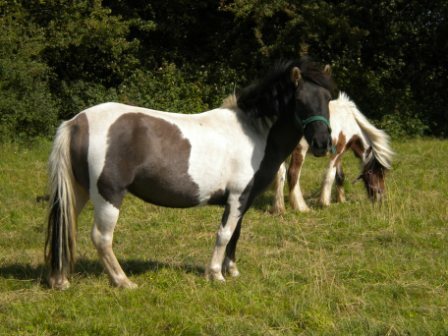 They were extremely neglected and we were honestly not sure if we would be able to save them. Fortunately with a lot of care (and sleepless nights) they pulled through. They are now enjoying their lives as ‘free range goats’, they have the run of the sanctuary but can usually be found down by the lake keeping the geese in check. As you can see from the photo May has a great sense of humour! It keeps her sane when sharing a field with Dachsie and Isabelle.. May came to the sanctuary when a home could not be found for her. Micky is our tallest resident by far, cleaning ears can be a real challenge sometimes! He has two very painful and chronic conditions which is sad as he is only 16yrs young. He will require medication for the rest of his life to keep him comfortable. He enjoys life to the full though and is never bored or lonely thanks to his adoring fan club ( Dachsie, May and Isabelle!). 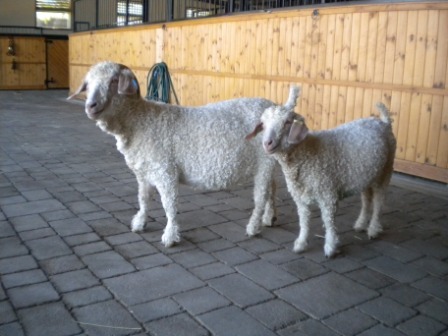 Meet Giselle and Eugenie – the nosiest sheep ever. Want to know whats going on at the sanctuary? Ask these two, they don’t miss a thing!. Although they had a terrible start in life Giselle and Eugenie have not only bounced back they haven’t stopped bouncing since. 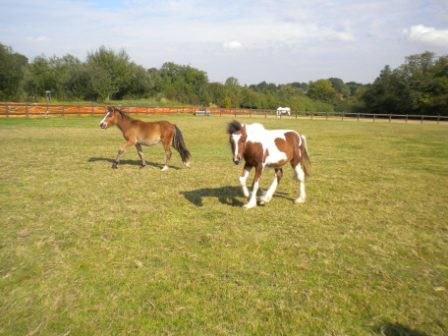 Free to roam around the sanctuary they are never far from Mathilda and Mabel, their favourite ‘pen pals’. Jacob and Elijah. 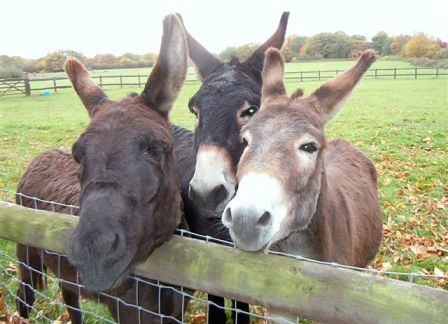 Rescued from horriffic circumstances in Ireland by The Donkey Sanctuary these three have travelled many miles in their young lives. Once they had been rescued in Ireland they were taken to the main sanctuary in Devon where they spent many months being cared for and rehabilitated until they were considered well enough to be found a home. They are typical young boys, rowdy and noisy at times but so utterly adorable. Isabelle came to Escape along with Dachsie, Hartley and Percy. We thought that her and Micky would make perfect partners but Dachsie had other ideas! 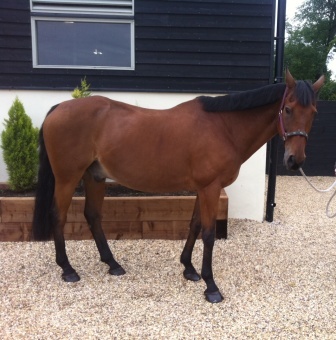 She can be bad-tempered at times so we are working patiently with her and reassuring her she is now in a place where she will come to no harm.